Here, I’m using the basic UNO Logger as a tethered Data AcQuisition device, recording the current used by a second data logger. Since the second logger is ‘floating’ with no connection to the UNO’s ground line, the voltage drop across the 5Ω shunt resistor is recorded using a differential channel on the ADS1115. Differential readings are also useful for sensor applications that use a wheatstone bridge arrangement. I recently picked up a ADS1115 breakout board, and it was fairly easy to use that with the serial data plotting capability of the Arduino IDE. It’s not often that something works this well on the first try, and I thought I would post about using the combination as a kind of ‘poor mans oscilloscope’. The plotter’s vertical axis auto adjusts as the value of your output increases or decreases, while the X axis is fixed at 500 points, with each tick of the axis equal to an executed serial println command. Having the ability to spool data to the screen with a simple print statement, turns the exercise into a “What happens if I do this?” kind of process, which is perfect for providing feedback to students learning how to program Arduinos. I posted the code used to generate these graphs on GitHub, but you will have to noodle around with it to figure out what the threshold settings should be for your particular application. So I was asking for data faster than the 1115’s top speed of 860sps could deliver it. A few more trials showed that even with the Arduino’s default 100Khz bus, I had to add delayMicroseconds(400); into the capture loop to keep the UNO from outpacing the ADC module. I expect that will be different for Arduinos with different clocks like the promini, so one would have to make manual adjustments based on the elapsed times for each system. 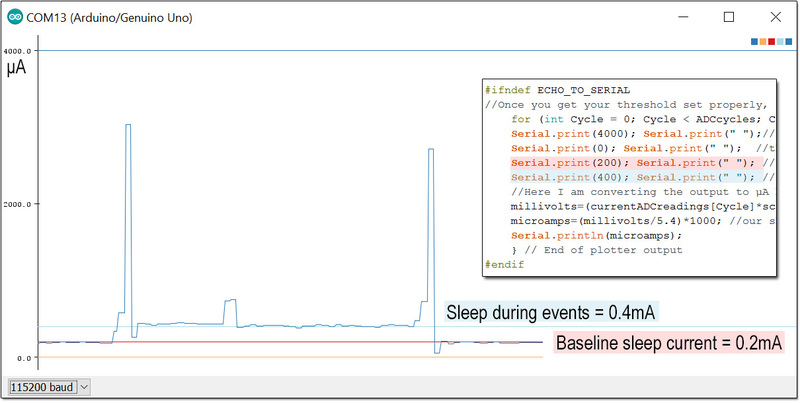 Though there were no surprises in the pattern per se, it was handy to find out that the “in-event” sleep current was about twice the normal standby state. (which I confirmed at 0.2mA using a DMM) Now I can go digging through the code to figure out what’s drawing that extra power. This was my first view of that complex logger event, with variable juggling, time stamp creation, eeprom buffering, counter resets, etc. With I2C devices being able to stretch the clock whenever they need to, I had no idea how long these kind of events actually took, and I certainly never managed to capture one so easily on the old clunker scopes I could get my hands on. The comb pattern you see there is a result of sleeping the processor for 15ms after sending data to I2C device registers; instead of using a 6ms delay while the Arduino waits for the devices to respond. This lengthens the overall duration of the event, but the time spent running at full power is reduced. The horizontal axis is at the same scale as before. The start of the event now looks like a solid block and the overall event is about 50ms shorter. For comparison, I’ve inset the previous graph with the sleep gaps cut out and the spikes moved together, and the two white rectangles at the top represent area equivalent to sleep gaps that were removed. 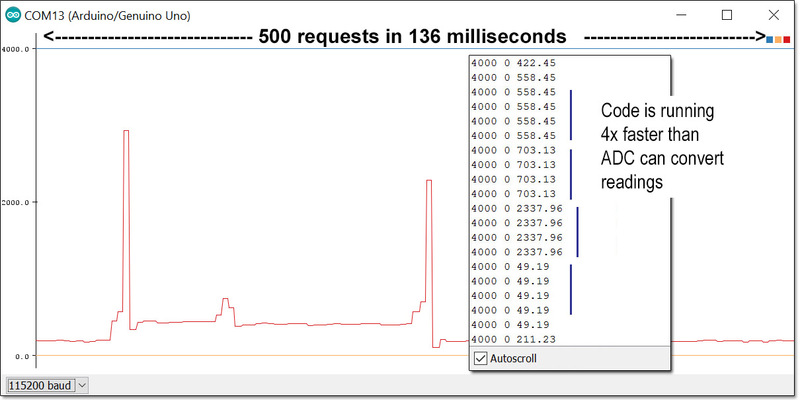 The grey area shows the power saved by using 15ms sleeps instead of 6ms delays. To do this properly I would need to take another reading of the 3xAA power supply voltage and calculate the total power used (minus the loss on the shunt resistor), but you can see at least 25% improvement simply by comparing the plots. That kind of feedback is very helpful when you are trying to optimize your code. Now, I can already hear people scoff that even $3 is too much to pay for a scope that won’t reach 1Khz. 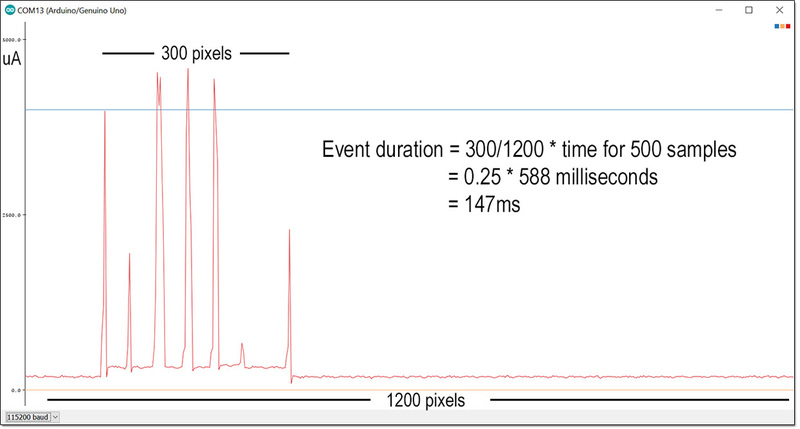 Indeed, with a minimum temporal resolution of just over a millisecond, the ADC frequently misses brief current peaks. I know my 8mhz promini based loggers usually draw more than 4mA while running, and you see the longer operations in the RTC/delays event pushing up towards 6 mA. But even with the upper third lopped off those spikes by timing errors, I can still use this method to make a reasonable estimate of the power being consumed by logger events provided they don’t last more than 580 milliseconds. ( The serial plotter provides a window for only 500 samples and the UNO barely has enough variable memory for a 16bit integer array that size.) If you add the SD card library to your script you are only left with enough memory for about 100 of these samples in your capture loop, although you could try reducing the ADC readings down to 0-256 with a well tuned map function. Then you could use an uint8_t integer array, and store twice as many readings in the limited variable memory of the Arduino. If you were just doing a classroom demo, that range would probably still give you a decent display on the plotter. Despite these limitations, the setup is so simple that I think the serial plotter tool will become a go-to for quick looks at sensor data, perhaps even replacing some processing based demos. 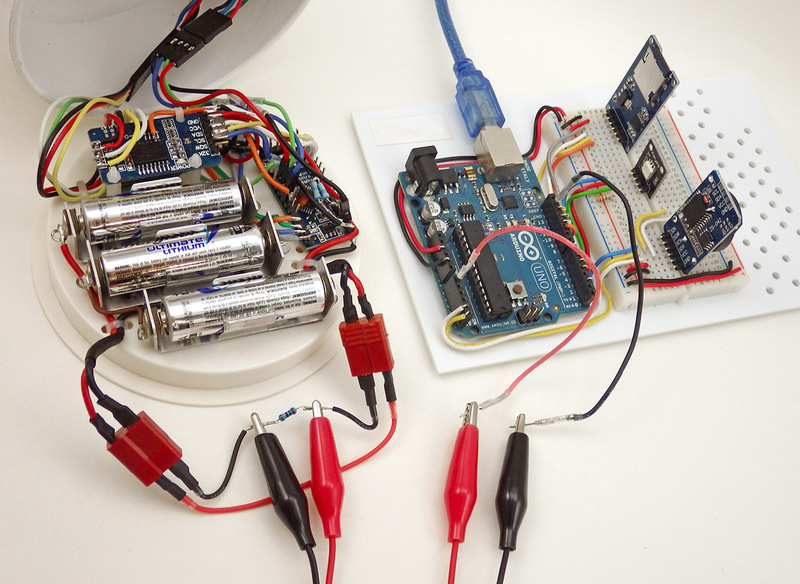 The ability to connect four of these ADC modules to a single Arduino makes the platform look quite respectable as a classroom level data acquisition system, especially for environmental data that rarely requires high frequency sampling. If you switch to a beefier 1280 based Arduino like the Mega, or the Moteino, those memory limitations disappear and recording much longer events would become possible. With the delays I had to put in, my gut feeling is that you could juggle a couple of these boards at a time; interleaving the readings to double or triple the effective sampling frequency. (at least until the input impedances start to mess with the shunt resistor…) And finally, I think adding a couple of well chosen diodes to clamp the input voltage to the ±limits imposed by your PGA setting would be a good idea in the classroom, or you might loose a few of those ADS1115 modules. It is worth noting that there is a comparator function in the ADS1115 that can be programmed to send a pin change alert when a given threshold is crossed. If I can figure out how to get ADS1115’s built in comparator working with the differential modes, this would even let me put the DAQ to sleep between sampling runs. The ADC module also has a ‘data ready’ alarm that can be enabled to tell you exactly when it has the next reading available. I did not go that route as the generic approach used here is applicable to sensors without these features, including the ADC built into the Arduino. There are plenty of other serial data plotting programs, but using the free IDE version like this is an iterative exercise, forcing you to switch between the serial text monitor & the serial plotter a few times to tweak the delays and constants. If you are using an UNO in a classroom setting, this in itself is a useful activity. And given how cheap basic DAQ modules are these days, choosing to use an Arduino is always about the showing the process rather than just getting a final result. Here I’m reading the voltage across a 10Ω resistor with the UNO’s built in ADC. 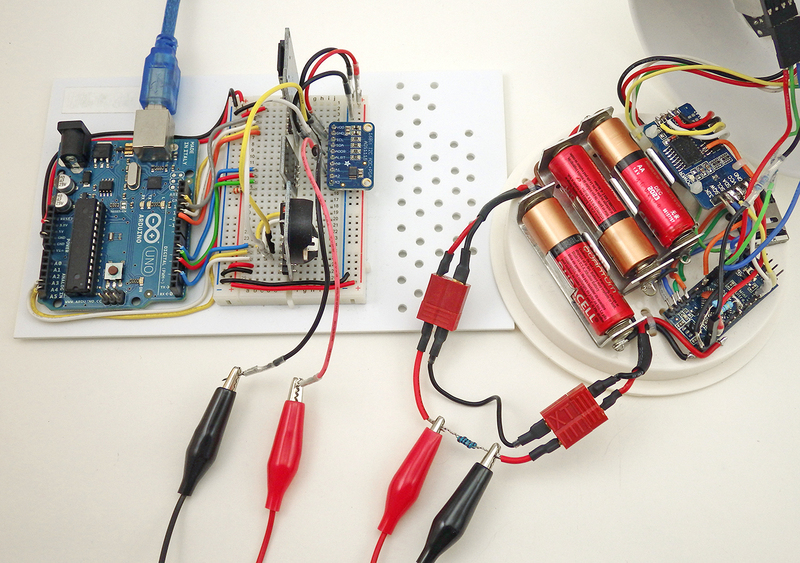 To do that I need to join the ground lines because the Arduino can only take single-ended readings. That also forces me to put the shunt resistor on the low side line so I don’t exceed the 1.1 vref. This arrangement causes the promini logger’s effective ground line to jump around as the current through the resistor changes. The folks over at Measuring Stuff posted a page called The Arduino DAQ Chronicles, which goes into some detail on the process. It’s a good chunk of background reading even if you are using the ADS1115 ADC described above. The Arduino’s native ADC delivers 10-bit readings, (ie 0-1023) and compared to the relatively pokey ADS1115, a typical UNO can take several thousand analog readings per second; outperforming the ADS1115 by a fair margin. The challenge is balancing the reduced resolution with the other limits imposed by the method itself. Even if you increase the sensitivity of the native 10-bit ADC by changing to the internal 1.1vref, you only reach 1.1v/1024 steps = 1.07 millivolt per bit. Remember that my loggers are sleeping at 0.2 milliamp x 5Ω shunt resistor = 1 millivolt so we are operating right on the lower limit of the ADC resolution. With that 1.1v cap on the ADC input, and a potential 100mA peak current (during SD card data saves), the largest shunt resistor I can use is 1.1v/0.1a= 11Ω. So to get the Arduino to discriminate the low currents we need to use a pretty large shunt resistor value, and allowing the voltage drop to get that high imposes another challenge in that the drip logger would only be left with 4.5v (the 3xAA battery) – 1.1v drop on shunt = 3.4v. That’s right at the minimum input voltage needed by the 3.3v regulator on the Arduino promini board, risking a potential brown-out in the middle of the SD card writing process. Not too bad, but that’s a noisy plot with lots of jitter on the base line. Having 1-2 bits toggle like that is typical for ADC’s so there is probably nothing I can do to get rid of it. And the drip sensors resting state reads at zero when it should be registering at least two counts. It is also common for an ADC to under or over read by a few bits, so I added an offset adjustment into the code to bring that sleeping baseline up to the 0.2mA that I have already confirmed with a multimeter. Crikey! 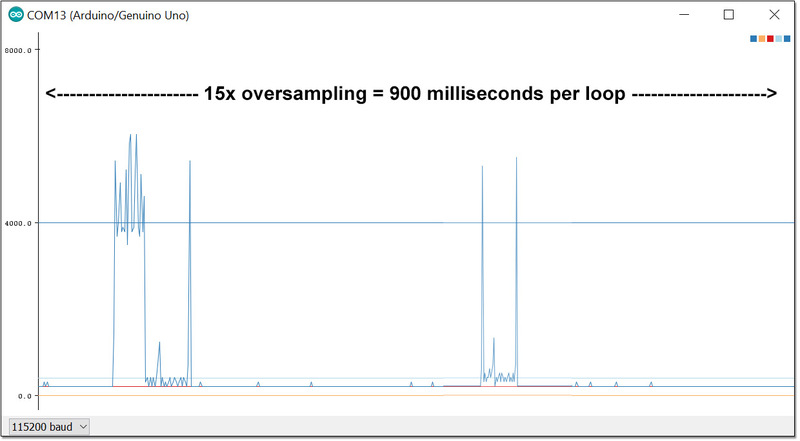 Even with the code overhead, that thing is taking over 8000 samples a second! That’s far too many readings for the serial plotter to handle if I want to view long events. And that first spike goes upt to about 5mA – exactly where it should have been on the ADS1115 readings if that module had not missed them at 860sps. 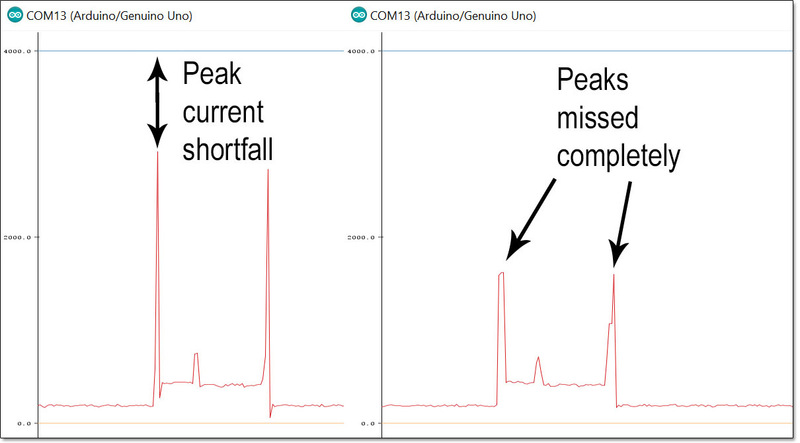 So how do I maintain the Arduino’s ability to spot those rapid sample peaks, but only send 500 readings to the screen? Instead of delays, I decided to create an “oversampling loop” that creates a running average using a low pass filter, but also checks for peaks throughout the process. You can dig into the code for this over at GitHub, but the basic idea that is if a peak occurs, then the highest reading in an interval becomes the final reading. If a decreasing trend is found, then the output from a leaky integrator becomes the final reading for that interval. So the readings get smoothed on the way down, but not on the way up. That’s the RTC event (with delays) and the drip triggered event at the same scale. Squashing more than 7000 raw readings into a 500 line display really starts to distort the curve, but everything is still recognizable, and more importantly, the peaks did not get chopped off like they did with the ADS1115. Woot! Now we have a method that lets us adjust the serial plotter’s display to match the event we are trying to see, provided we don’t over-interpret the accuracy of those heavily averaged interval numbers. And rapid sampling can introduce other issues to deal with. For example: Dustyn Roberts has a useful post on creating very precise time stamps with the micros(); function when you are sampling faster than 1 millisecond. So within limits, a standard Arduino gives you good temporal resolution but can not detect less than 1 millivolt of change, while the ADS1115 gives you precision down to an impressive 0.0078 millivolts (@16x gain) but is not so great for tracking really brief events. If you need both resolution & speed, you need opamp circuits designed for the specific situation, as in the Jeelabs example. It’s also worth mentioning that the Arduino ADC also supports a comparator that you could use for the threshold function more elegantly than I’ve done here. And with such a low impedance input, you can also double or triple the sampling rate by changing the ADC clock prescalers (this is also in the code on GitHub) Both of those things are described in detail over at Nick Gammons excellent page on ADC conversion on the Arduino. Then after your DAQ has been capturing events for a while, click inside the serial monitor window, select all the data & copy it (on a windows machine that would be [CTRL]+[A] followed by [CTRL]+[C] ) then open a new spreadsheet and simply paste the data into an empty column. to put the numbers into adjacent columns. If you don’t have excel, there are plenty of other data plotting options out there. And programs like coolterm, can save you from having to do those cutting & pasting steps. Gokul Shrinivas just posted a neat little bit of code at hackster.io that reads the Arduino ADC at a cracking 68k samples per second out of a Arduino Due by directly accessing the ADC ports as soon as the DataReady interrupt is triggered. Even if there is no speed gain, perhaps I could do calculations while I was letting the ADC read continuously to speed up the overall sampling loop. I could see myself getting out of sync pretty easily though, unless I deactivate the general interrupt flag and activate it again (with cli() and sei()) or I would randomly miss readings. Update: the Hackster.io project listing magically evaporated… and I just found exactly the same code at Bruce Land’s Hackaday project from 6 months ago. So I think proper attribution for the script above should go to Bruce. I’ve been playing around with the ADC clock prescalars, and with the asynchronous reading code available over at Nick Gammon’s site to try to get better temporal performance out of my little UNO-scope. With such a low value shunt resistor the ADC seems to read fine even if you crank it up to about 40k samples/second. Unfortunately you pass a point of diminishing returns due to the processing overhead with the interrupt based asynchronous readings, so async reading actually reduces the number of readings per millisecond at the higher clock speeds. If you want to play with this approach yourself, I’ve posted the update with the prescalar settings to GitHub. For an unmodified UNO, Qwerty’s triangular dither method is probably the easiest one to use, but for 3.3v boards I’d go for the Toggled pin dither method I outline at the bottom of the post. This entry was posted in Teacher Resources on August 15, 2016 by edmallon. Hi, thanks a lot for your great articles. 1. one serial plotter software that I think it is and will be great. 2. Do you think that with a ATMEGA32U4 (I have a Xadow Board, but it can be a Leonardo or ….) could you overtake the 115200 bps limit of the serial protocol so you could reach more than a 1kHz oscilloscope ? The “take a snapshot” feature is the one big deficit of the IDE plotter, and will be enough to make me investigate that new plotter. 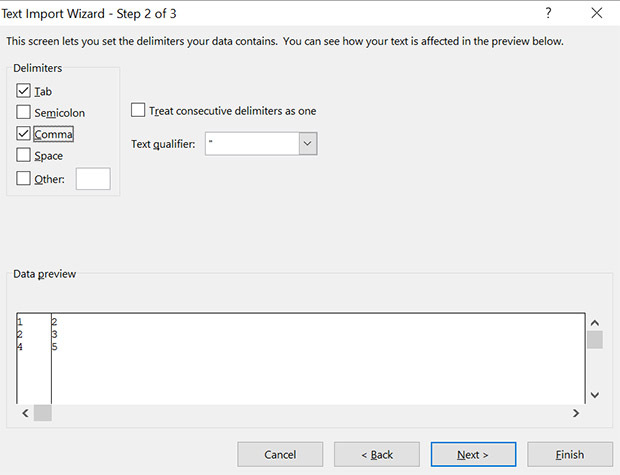 Though with dataloggers you need a “threshold” feature to go with it to catch flaky code triggered behaviors. WRT the scope, I have not looked into how the clock is set for the internal UART on the 32U4, but my expectation is that impedance/capacitance is as much a factor as the clock. I almost don’t understand you ( 😉 cheers). The datalog software is great, and there will be improvements in near future. What I will try to do is to improve the UART communication to have a continuous scope so I could forget about threshold. 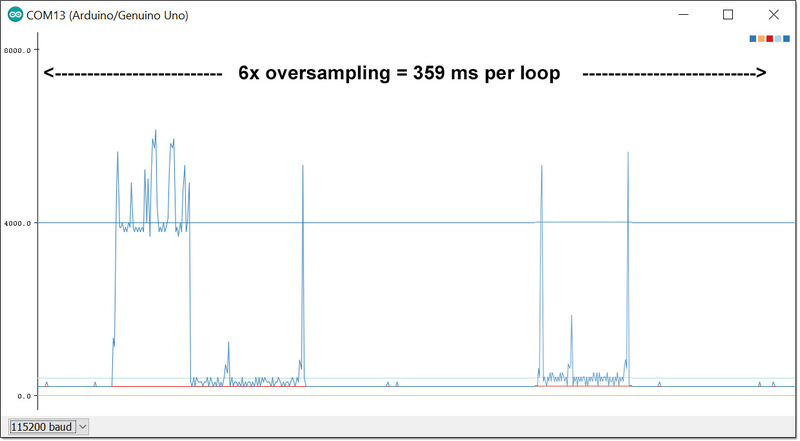 It depends on what SPS (samples per second) do you need. May be 860sps is very slow for your needs. My need is to get an aproximate time of the peaks and their waste. For checking perfectly the peak, you can also use after an arduino with 10 bits and 8000sps and an smaller shunt resistor to get the peak perfect. What we need is not to depend on the threshold and send throught UART as much as data that we can. Our limit is the UART bps, with 115200 bps (I don’t know exactly, but I think that I have to divide by 11). 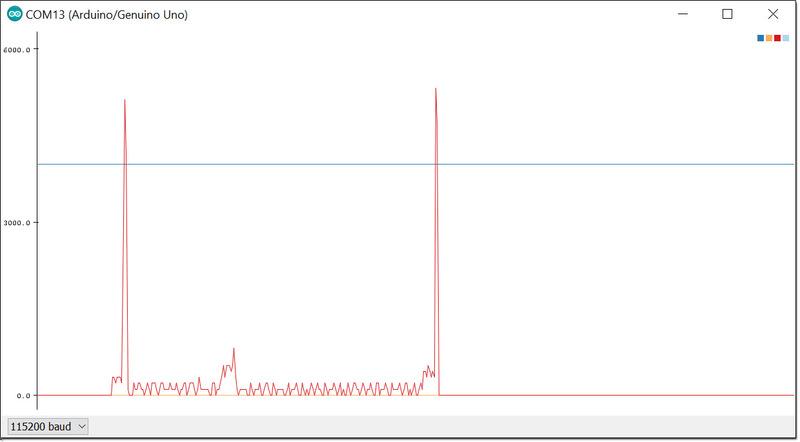 115200 bps –> 10000 bytes per second (aprox), Let’s continue with 8000 bytes per second. If you want to send integers, you will be able to send through UART aprox 4000 values per second. 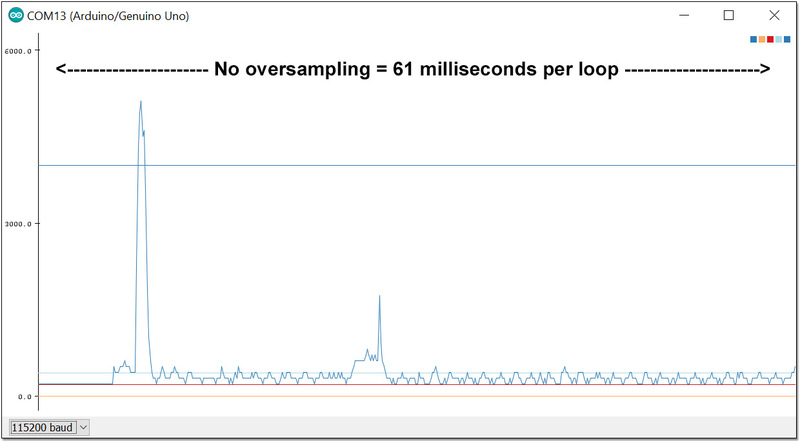 That is not a 8k sample rate, but it is 4k sample rate. Is it not enought to register your peaks ? As you say, we can also make a 8k sample rate with arduino ADC but only send data once a milisecond with the HIGH value and MIDDLE value of that 8 samples of that milisecond. What do you think about it ? What is the sampple rate that do you think we need to log that nrf24’s peaks ? esp8266’s peaks? 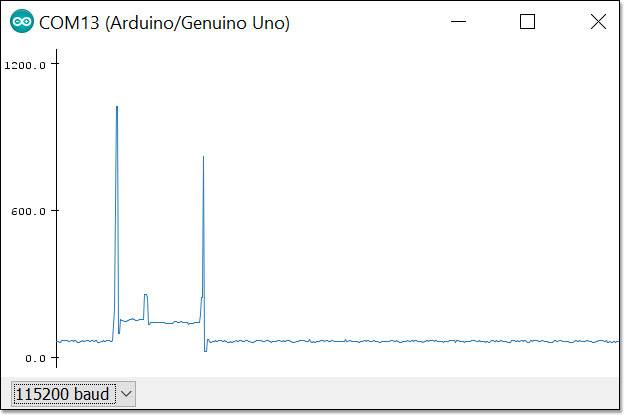 arduino’s peaks? …. NOTE: Sorry, but my comments are not very precise. Yours are much better !!!!. 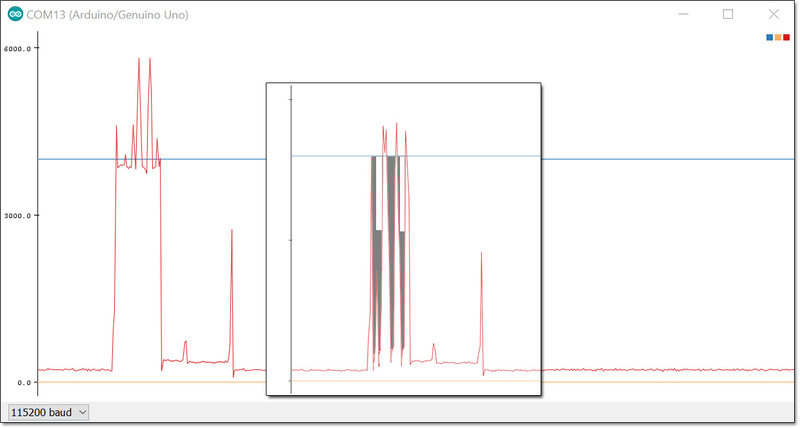 I like the ADS1115 for it’s differential reading capability, but I found it was just too slow to monitor the kinds of current spikes you get from data logger operation. But every sensor application is different, and my current work on conductivity sensing, I’m using oversampling to give me better resoltion from the Arduino’s ADC than I’d get from the ADS1115, but at the cost of even more time. I’ll get that stuff posted once I’ve sorted out the calibration.